ICP is an abbreviation of “International Center of Photography”. It is a photo museum in New York City. I designed its logo , poster and brochure as an assignment of Typography class in the Parsons School of Design(NY). The logo is used a heart mark in the “C”. I wanted to express their passion for Photograph. Moreover, it can be read “I Love Photography” like “I ♥ N Y”. 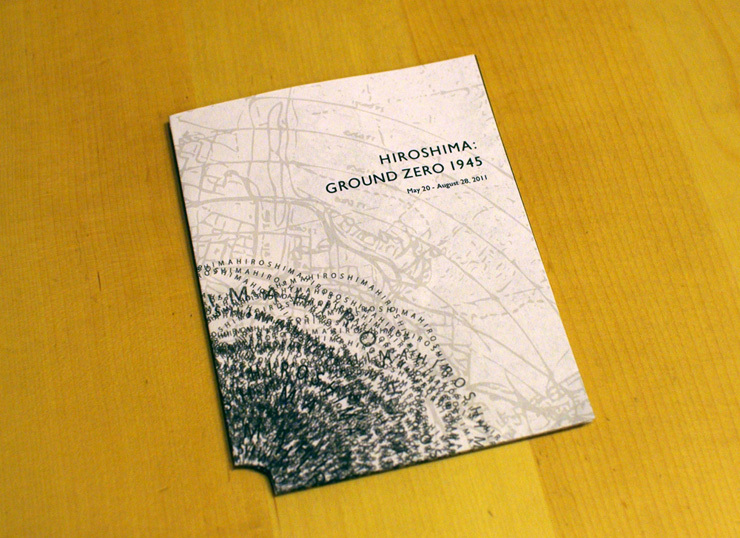 The poster was designed for an exhibition, “Hiroshima Ground Zero 1945” witch held in the Summer of 2011. 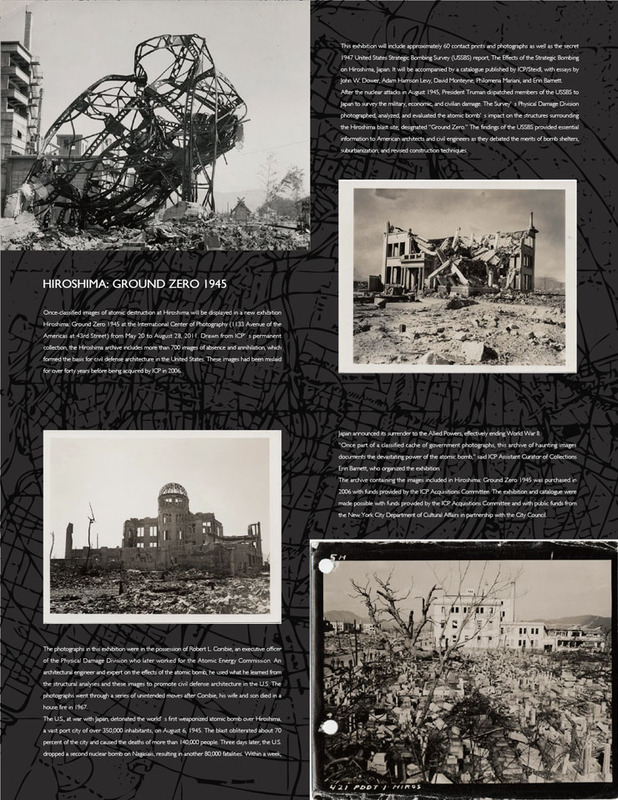 The exhibition show us many photos of architectures destroyed by an atomic bomb in Hiroshima, Japan. 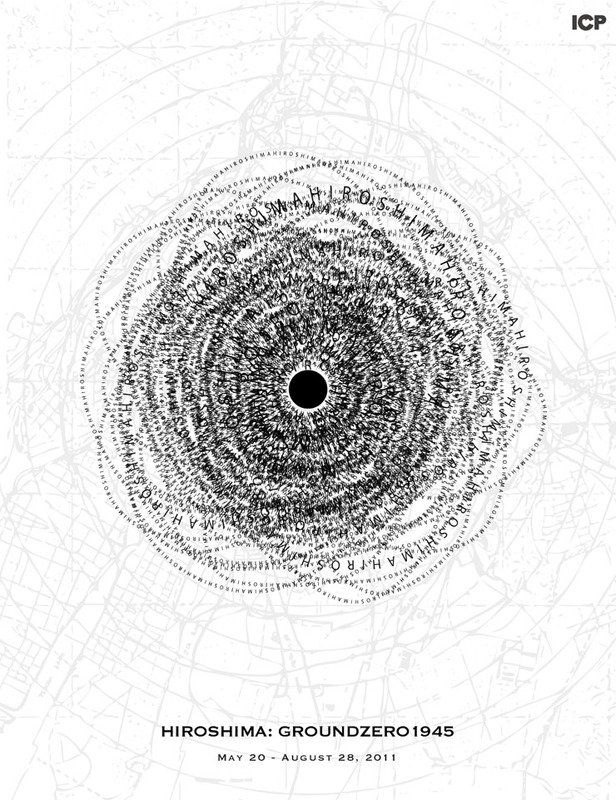 I put a map of ground zero on the background and made cloud of letters like a mushroom cloud or a nuclear. The brochure is used poster’s graphic. I made a hole at the place of Ground Zero. When the brochure is folded 2 times, the hole is at the corner of the brochure. An expression of the exhibition is on the inside of the brochure.